Above: Children battle against strong desert winds as they collect drinking water for their families from a water distribution point. 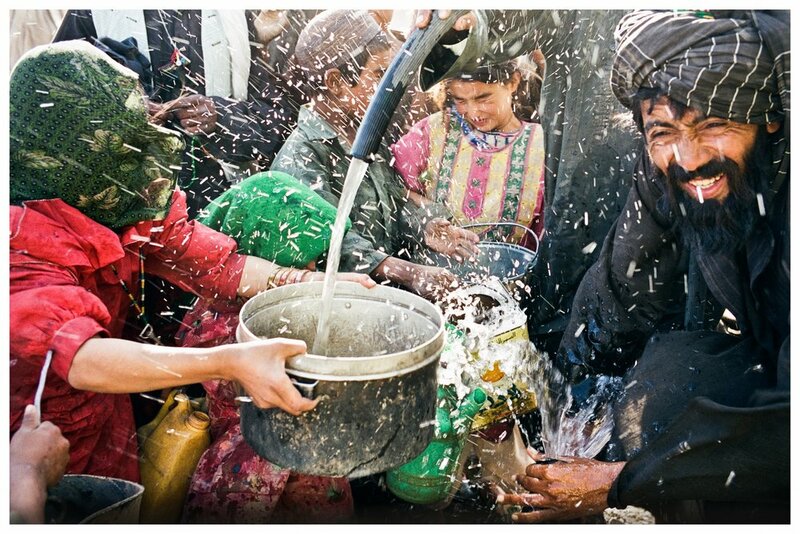 Maslakh refugee camp, western Afghanistan. 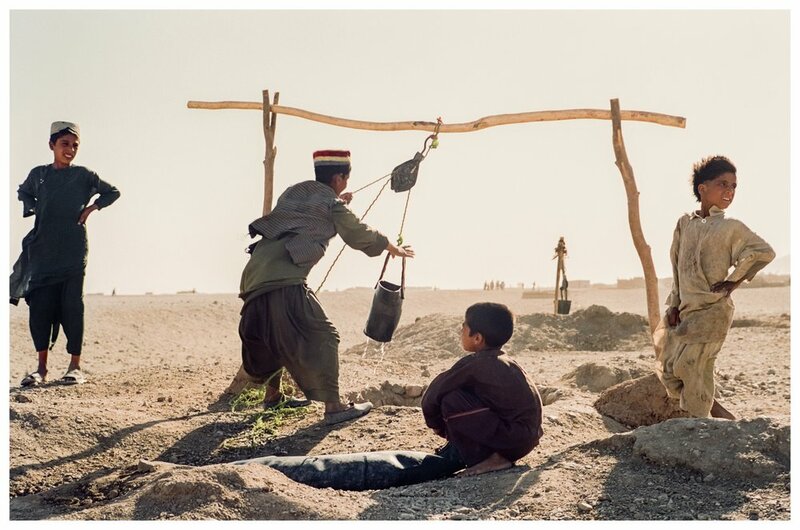 Below: Afghan boys collecting water from a desert well. The water will be carried back to the boys' families in old inner-tubes refashioned into water containers.